Next time I make this, I might add some salsa verde, though, to give it even more of a kick. I left it out tonight because I don't want to mess with teachers' digestive systems too much during parent-teacher conferences. I'm a teacher too, and I know I would NOT appreciate an upset tummy particularly in that situation. So, for now, this is what I have. It's pretty easy, especially if you already have the ingredients for the Cheesecake Factory White Chicken Chili. Have I mentioned how much I love that chili...? 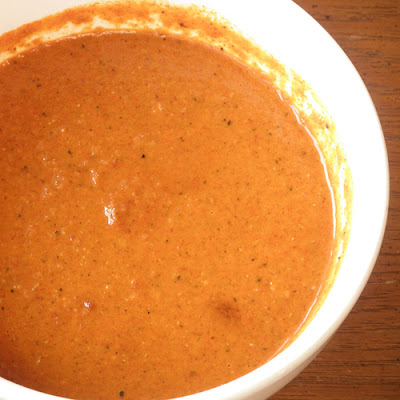 Place the first eleven ingredients (everything BUT the chicken) in a blender or food processor, or in a tall cup if you have an immersion blender. Blend until smooth and the texture of a loose natural peanut butter. Place chicken in a plastic zip-top bag and put enough marinade on the chicken to thoroughly coat all over, but it should not be swimming in the marinade. (That might be wasteful.) Zip the bag and refrigerate 1-2 hours. Preheat grill to about 450 degrees Fahrenheit. Place chicken on grill, turning every 4-5 minutes until chicken is done/juices run clear, or a meat thermometer reads 160-165 degrees Fahrenheit (there will be a little carryover cooking, and most placed I've looked recommend 165 degrees for chicken). 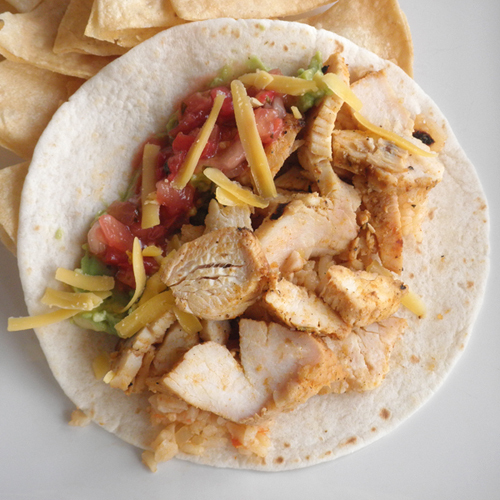 You can either serve pieces of grilled chicken, or you can cut the chicken into bite-size pieces for people to spoon into tacos or burritos. This looks fabulous. What would you say the heat level is with the Tabasco?